The Department for Transport (DfT) is the government department responsible for the English transport network and a limited number of transport matters in Scotland, Wales and Northern Ireland that have not been devolved. The department is run by the Secretary of State for Transport, currently (since 4 September 2012) Patrick McLoughlin. The Permanent Secretary has been Philip Rutnam since 11 April 2012. ^ Budget 2011 (PDF). London: HM Treasury. 2011. p. 48. Retrieved 30 December 2011. 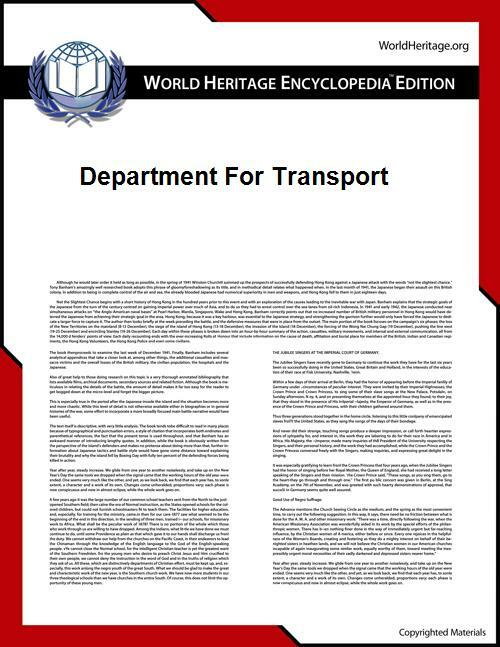 ^ "Transport Departments". The National Digital Archive of Datasets. The National Archives. 2008-01-10. Retrieved 13 August 2009.